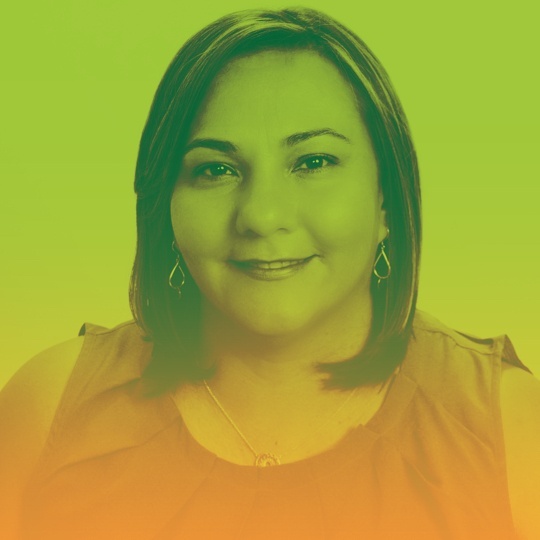 It is impossible to celebrate ten years of Key Lime without recognizing our amazing and hardworking CEO, Ania Rodriguez. Under her leadership and direction, Key Lime Interactive LLC. has successfully achieved double-digit growth over the past 9 years and as a result, has emerged as one of the leading user experience research firms in the United States. Without Ania, we could not celebrate Key Lime's tenth birthday. Ania is excited, insightful and passionate about all things UX. Since the beginning of Key Lime, Ania has always taken a hands on approach to providing support, guidance, insight and laughs to all KLI team members. Aside from providing mentorship and user experience expertise to her team, Ania is also a mother of three children on top of owning a business- and she somehow manages to successfully balance it at all. She is always thinking and coming up with brilliant ideas. "Ania almost always comes up with another new idea while she’s speaking about an existing idea. As if speaking aloud is a catalyst for creativity. The rest of us try to jot them down so that we can revisit them and not interrupt her creative energy." Saying “Long story short... “ on the tail end of a long story. "When you get that woman giggling it truly is contagious." She never has her battery charged on her phone or computer, or is missing a charger. She is always reading through team members reports, and always finding a way to improve it. "No stray formatting or punctuation can hide from Ania’s attention to detail." Starting a conversation in English and ending it in Spanish. She is always on a call and almost always with a cool new potential client. Since she is always on call, she is also always missing her exit on the highway. Check out our first and second lists of ten and help us celebrate 10 years of Key Lime Interactive!